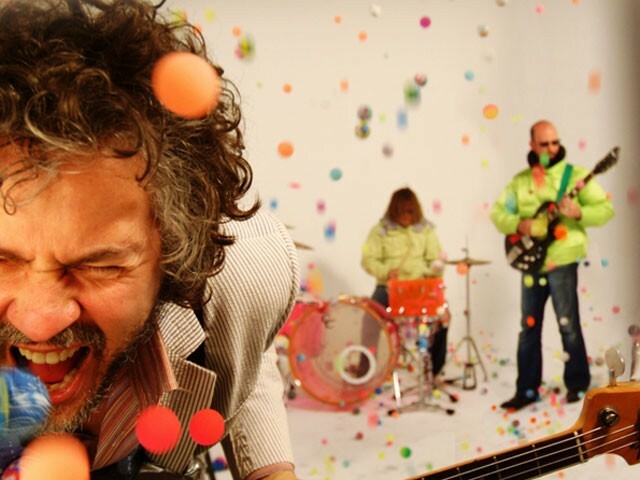 When Wayne Coyne announced on an L.A. stage that his band, the Flaming Lips, had recorded the Pink Floyd classic, Dark Side of the Moon, in its entirety, a man blurted out: “Whaaaat the f---?! Yeah!” Jubilant — both the audience’s reaction and the sound of the Lips on every album, including this MP3-only remake. But, as the yelling dude suggested, the confusion quotient is pretty high here: Why in the hell would anyone cover one of rock’s perfect albums? First off, it is fun to hear the Lips inject their maniacal sounds into material dealing with things that “make people mad,” as Floyd’s bassist, Roger Waters, described it. The thick crunch and invented sounds of Steven Drozd’s musicality, the quavering timbre of Wayne Coyne’s voice and the relentless Lips’ beat rarely let anyone down. But do we need Henry Rollins’ deadpan and puerile poetry? Or a robot a singing “Money”? Not really. Still, it is the Lips covering Pink Floyd. Which is pretty killer.